(Nanowerk News) Texas Instruments Incorporated (TI) today announced a $2.2 million gift to support engineering education at the University of California, Berkeley. The university will use the gift to transform its traditional introductory Electronic Design Laboratory into a dynamic learning environment for undergraduate students. "With TI's expanded Silicon Valley research and development base in Santa Clara, this gift represents another step in our commitment to fostering the innovation ecosystem in this region and around the world," said Gregg Lowe, senior vice president of TI's Analog business. "The gift also dovetails with TI's initiatives to increase internship opportunities for engineering students. By engaging students early in their engineering education, we can help ignite lifelong ingenuity and passion for tackling the world's challenges with analog and embedded processors." 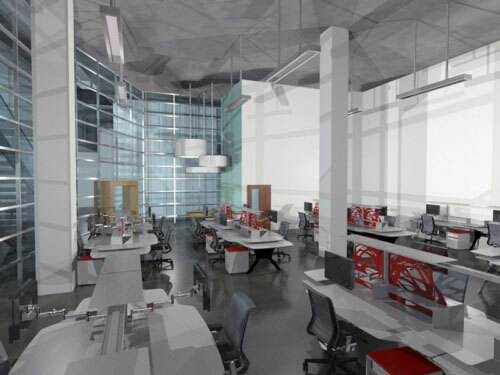 UC Berkeley envisions a collaborative environment for engineering students to make things that matter in the Electronic Design Lab, to be renovated using a $2.2 million gift from TI. More than 1,000 students a year gain their first hands-on electronics experience in the university's Electronic Design Lab, which supports Introduction to Microelectronic Circuits and other gateway electrical engineering courses at UC Berkeley. In the nearby Hacker/Maker space, students work together on projects solving real-life issues, from automating a dorm room, to creating a simple, yet fully functional electroencephalograph (EEG). By renovating and equipping the aging lab to meet 21st Century standards and connecting it to the engineering student lounge and Hacker/Maker space, the TI gift will allow students to study in a modern environment that organically cultivates community, collaboration and creativity. The university expects to open the renovated space in Spring 2013. The renovated lab will also connect to the school's Mixed Signals Laboratory, originally funded by a gift from National Semiconductor, one of Silicon Valley's first semiconductor companies, which was acquired by TI in 2011. "This is a unique opportunity to introduce a new generation of engineering students to the fun of building things that matter," said Professor Costas Spanos, chair of the Department of Electrical Engineering and Computer Sciences at UC Berkeley. "We will do this by infusing the 'maker' ethic early into the learning cycle, and by creating a place that brings together state-of-the-art instructional labs, a student meeting place and student-run space for hardware hacking." In addition to the monetary gift, TI is donating development kits that incorporate a range of devices from its extensive semiconductor portfolio, along with supporting software, to enhance the hands-on learning experience in the classroom. The gift follows a March announcement of the new TI Silicon Valley Labs, a center for research and collaboration with universities and customers on disruptive analog and mixed signal technologies. TI also announced it is working with UC Berkeley, Stanford and other universities to dramatically increase internship opportunities for students. In the United States alone, TI has increased internships by 85 percent over the past three years, and in 2012 has offered more than 460 internships. The announcements in Silicon Valley are connected to TI's strategy of working with universities worldwide to help engineering students build a foundation of knowledge and experience with analog and embedded processing technologies and excite students about the hardware side of electronics and engineering. In the past five years, TI and the TI Foundation have given almost $120 million to support higher education globally.